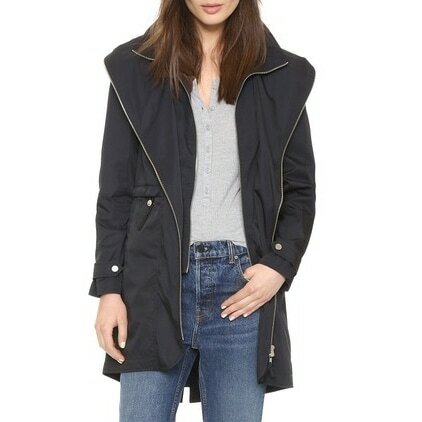 An exposed two-way zip closes the placket and hood of this rain-ready Soia & Kyo jacket. An inset front panel offers extra protection, with a stand-up collar and zip closure. Toggle drawstrings cinch the waist, and snaps secure the hip pockets. Vented hem. Lined.